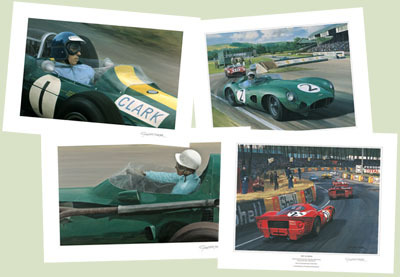 Reproduced in full colour on good quality art paper from Michael Turner Motor Sport paintings, each edition is strictly limited to the number of prints shown, with every print within the edition individually signed and numbered by Michael Turner and in some cases countersigned by the driver depicted. 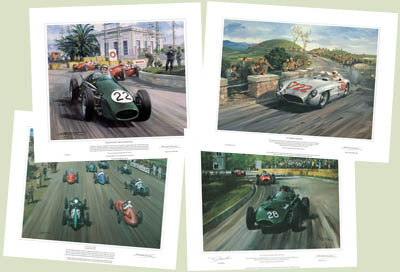 Reproduced in full colour on good quality art paper from Graham Turner's Motor Sport paintings, each edition is strictly limited to the number of prints shown, with every print within the edition individually signed and numbered by Graham Turner. Dimensions shown indicate the overall size, which includes a white border.